Anastrozole is a potent and highly selective non­steroidal aromatase inhibitor. In postmenopausal women, estradiol is produced primarily from the conversion of androstenedione to oestrone through the aromatase enzyme complex in peripheral tissues. Oestrone is subsequently converted to estradiol. Reducing circulating estradiol levels has been shown to produce a beneficial effect in women with breast cancer. AMENUR® is used in the treatment of advanced breast cancer in postmenopausal women. It has not been proven effective in patients with estrogen receptor negative unless they have had a previous positive clinical response to tamoxifen. 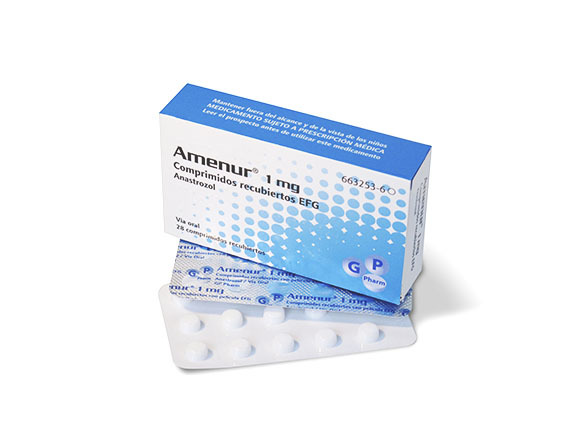 AMENUR® is presented in blister packs of 10 or 14 tablets of 1mg.